An exhibition of ancient Asian artefacts has got underway in the National Museum of Vietnamese History in Hanoi. The exhibition, the first of its kind, has over 50 special objects from nine Asian countries on display. Some of the more typical objects are a brass statue of Shiva from India, a carved wooden statue of Buddha from Cambodia, a statue of a camel and ceramics from China and several Japanese objects made from brass and gold. 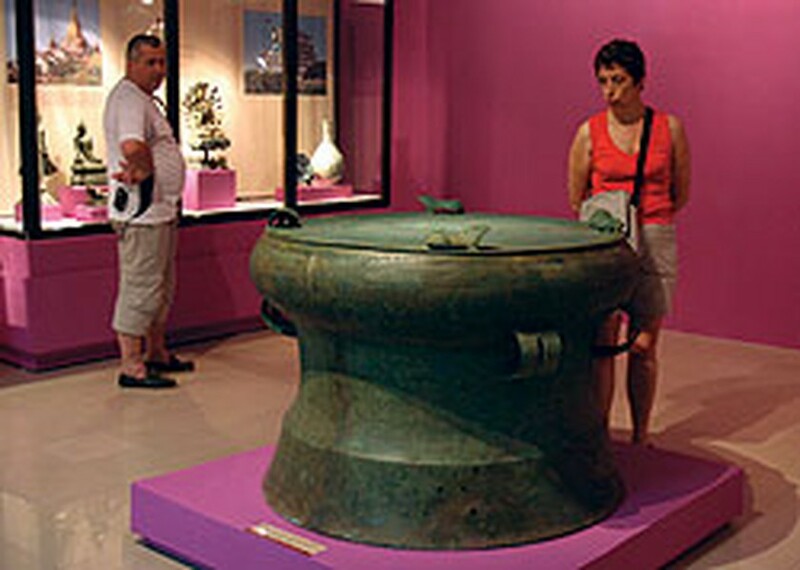 There are many Vietnam pieces on display at the exhibition including musical instruments, weapons and ornaments and the country’s the largest Dong Son drum, which measures 86 centimetres high and is 116 centimetres in diameter and dates back 2,000-2,500 years. The exhibition is an excellent opportunity for visitors to enjoy a part of Asia’s heritage and treasures from the ancient civilisations of many nations.